Boston Dynamics makes some very advanced robots ! 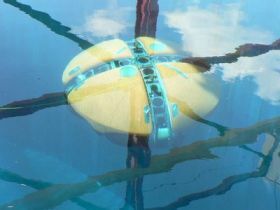 An underwater robot, shaped like a flattened orange, maneuvered untethered and autonomously within a 115-meter-deep sinkhole during tests this month in Mexico, a prelude to its mission to probe the mysterious nether reaches of the world’s deepest sinkhole. 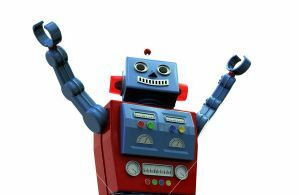 If it’s bad for humans to be reduced to robotic inauthenticity, isn’t it preferable that real robots should step in to execute our mindless tasks for us? 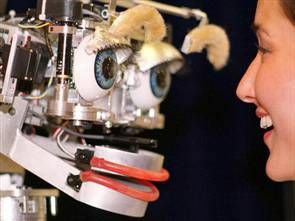 But what happens when robots start to develop emotions of their own? The Draganflyer r/c helicopter just got better; with the new Draganflyer Stabilized Aerial Video System (SAVS) it has never been easier or more economical to create superior, professional quality, aerial video. The SAVS takes up the slack where full size aircraft fall short, low level and close up video. For everything from real estate to surveillance or music videos the SAVS will excel with its high resolution CCD wireless video camera and anti-vibration mounting system. The complete Draganflyer SAVS comes pre-assembled with a wireless video camera system, transmitter, batteries and charger all packaged in two compact, custom built hard-shell cases. 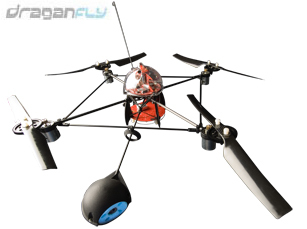 Built on the tested and proven Draganflyer V Ti platform and equipped with a high resolution CCD video camera and numerous state of the art features the Draganflyer SAVS is one of the most high-tech aerial video system in the world. We are still engineering life in the form of robots, but after that is conquered we perpetually unsatisfied humans will certainly move onto other things. 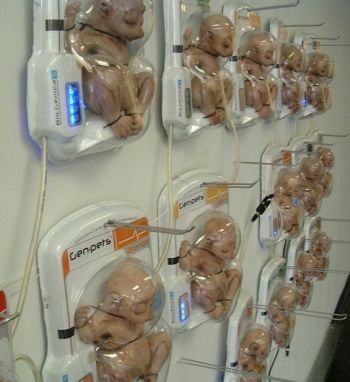 The next step after robots will of course be bioengineered life! How exciting. 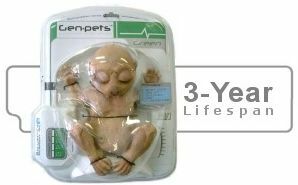 It looks like one company, Genpet, has already gotten a head start marketing their product line. Look out Ugobe, Pleo already has some competition! While the Genpets hang on the store shelves they are in a form of hibernation. 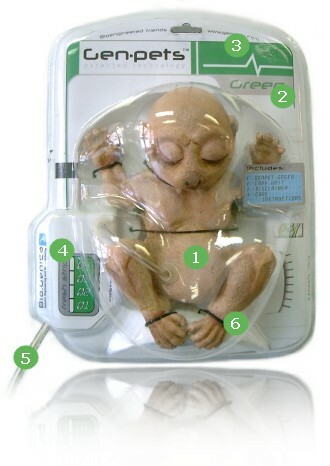 Each Genpetâ„¢ package has a special nutrient feeding tube attached to it, supplying our specially formulated mix and keeping them healthy and asleep. Visit their site today and get in line to order yours! Have you ever gotten up off the couch to get a beer for the umpteenth time and thought, â€œWhat if instead of ME going to get the BEER, the BEER came to ME???â€? Well, that was how I first conceived of the beer launching fridge. 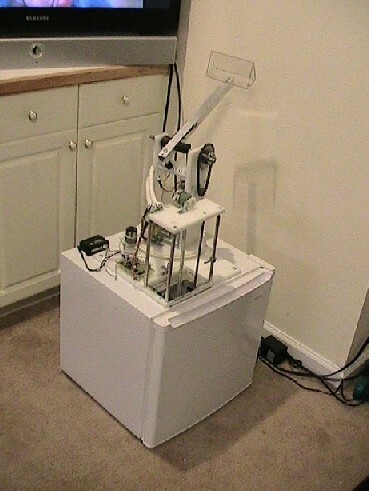 About 3 months and several hundred dollars later I have a fully automated, remote controlled, catapulting, man-pit approved, beer launching mini-fridge. It holds 10 beers in its magazine with 14 more in reserve to store a full case. It is controlled by a keyless entry system. Pressing unlock will start the catapult rotating and when it is aiming at your target, pressing unlock again will stop it. Then the lock button can be pressed to launch a beer in the selected direction. 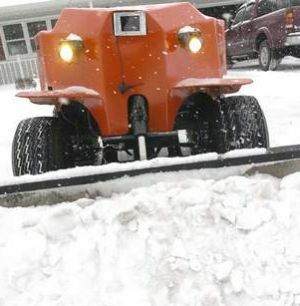 Man builds robot plow to shovel snow from inside… brilliant. Herdy-Gerdy, a remote-controlled snow-plowing robot built by Bill Lauver, of Middleburg, has been getting a lot of attention over the last five days. 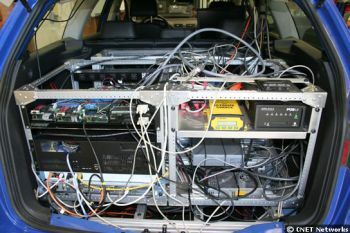 A view of the “brains” of “Junior,” a modified 2006 Volkswagen Passat wagon being developed by Stanford University’s Racing Team to compete in DARPA’s Urban Challenge in November. The competition among driverless cars will take place on city streets, among other cars. Robots would also make good sentinels: Ken Goldberg of the University of California at Berkeley described his robotic camera system, ACONE, which has been set up in the remote Arkansas woods to look for signs of the elusive ivory-billed woodpecker. ACONE sifts through a stream of video imagery, hanging onto the pictures that appear to show birds in flight. 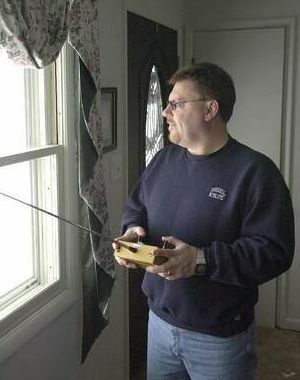 After three months of continuous operation, the system has identified birds such as red-tailed hawks and blue herons, Goldberg said.